We are less than two weeks away from the mandatory compliance date for TRID 2.0. As of October 1, 2018, the CFPB will expect every lender to be in full compliance with the new amendments. This means that lenders need to make certain that they are ready to make the transition to the updated rules. With the right preparation, you can be certain that this change will occur in a smooth and orderly fashion. At Docutech, we have been working on the changes for the last year and can assure our partners that we are ready and assist them with their final TRID 2.0 preparations and testing. For those who still have a few unanswered questions, we’re here to help. The rule has been complex from the beginning and while the new updates provided by TRID 2.0 have answered many of the questions the industry has posed, there is still a lot to get right. Some lenders, especially those that are not fully prepared or those that work with the wrong partners, are likely to make mistakes. One area that TRID 2.0 has made much better, in terms of clarification, is in regard to construction loans. The amendments provide much needed guidance from the Bureau of Federal Consumer Financial Protection about how to disclose construction loan details of the Loan Estimate and Closing Disclosure. To better understand these construction loan changes click here. Docutech’s compliance experts have spent a lot of time providing documentation that will allow our clients to make sense of the changes in the shortest possible time. For additional helpful TRID 2.0 guidance, visit our website. Testing your systems is a critical next step. 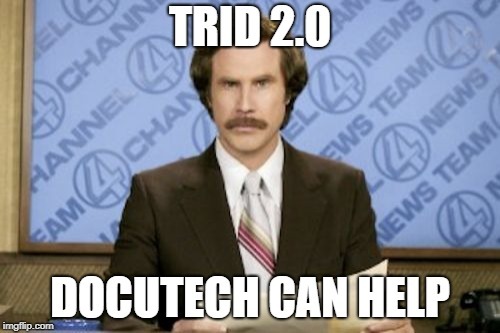 If you would like help with testing or if you have any legal questions about TRID 2.0, call on our expert team. It’s easy to submit a ticket in our TaskWatch system. Alternatively, you can simply send an email to support@docutech.com or call us at 800.497.3584. TRID 2.0 readiness is critically important and time is running out. Call on us for any support you may need.